“The sea of bitterness has no bounds; repent and you will reach the shore.” The consequences of doing good or evil unfold not just in life, but after death… or so believed Aw Boon Haw – millionaire philanthropist, marketing extraordinaire and brainchild behind the famed ointment Tiger Balm. 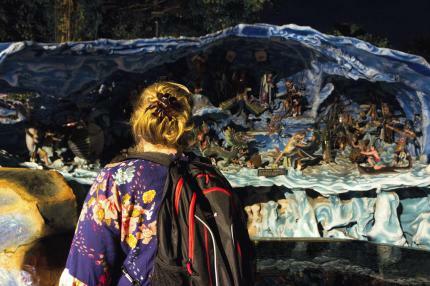 No wonder his grandest creation, the 80-year-old Tiger Balm Garden (known today as Haw Par Villa), is replete with sculptures on death and the afterlife. Now, see the park in a new light – after dark, if you dare! Learn how death stalked the Aw family, and what Boon Haw did to confront his mortality. Get a sneak preview of the upcoming “Hell’s Museum”, with perspectives of the afterlife across various religions. Step into the infamous 10 Courts of Hell to see what will get you dismembered and drowned in a pool of blood. 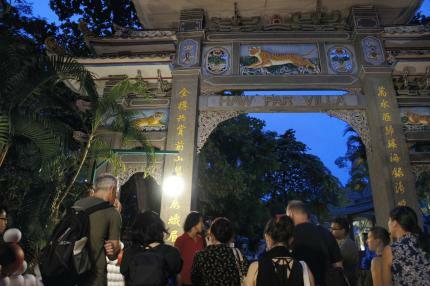 And we’ll show you how some Singaporeans communicate with the afterlife. We promise you’ll never see dying – and living – in the same way again. Hell no! Never again. 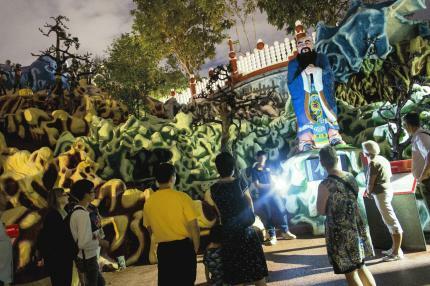 • Experience Haw Par Villa after dark - if you dare! Meet at Haw Par Villa MRT Station, outside Exit A. If you're taking a cab, alight at the entrance of Haw Par Villa MRT Station, 262 Pasir Panjang Road.